Mizielinska, Aleksandra and Daniel Mizielinska. Maps. Somerville, Mass. : Big Picture Press, 2013. 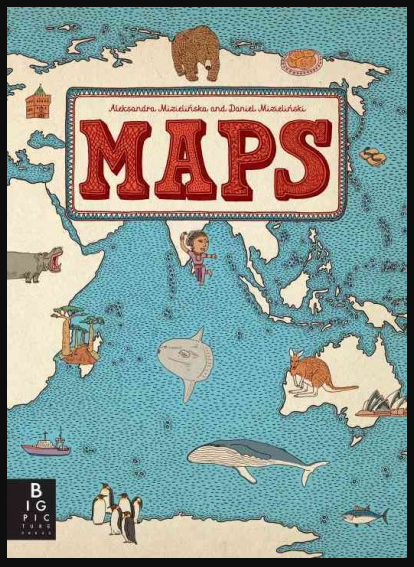 Expand your general knowledge with this creative book of maps. All of the continents and many countries are depicted in hand-drawn illustrated maps showing not only geographical features but also famous people, foods, sports, plants and animals, and tourist sites. In fact, everything that you might want to include in your own general knowledge of the world as well as coloured drawings of 83 national flags. First published in Poland, this English translation is highly recommended for readers 8 to 80 years old. Click HERE for lists of places to know. Click HERE to practise your knowledge of world geography. 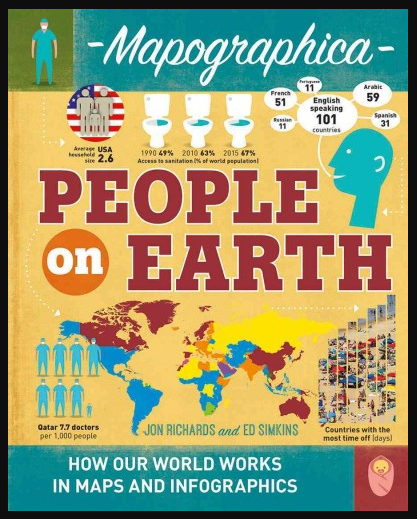 Do maps tell the truth? Elliot, David. 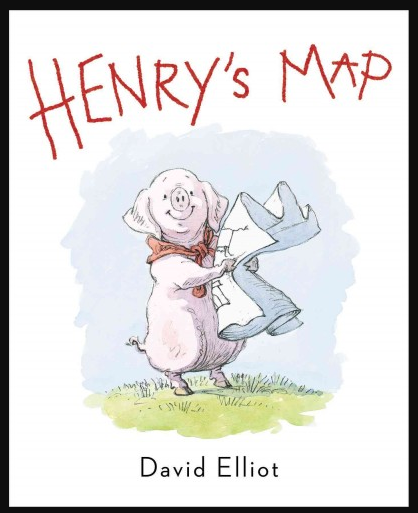 Henry’s Map. New York: Philomel Books, 2013. Henry is organized. Everything has its own place. And should stay in its place. But then he makes a map and confusion reigns over the farm yard. This cheerful story will have readers – and listeners – laughing as Henry discovers maps don’t always match what his eyes see. Recommended for ages 4 to 10.